The Wrong Object will be doing a concert at 'L'An Vert' in Liège (BE) on June 3 at 20h30. The teachers of the music school in Hamm, Westphalia (Germany) play on the occasion of the 75th birthday of Frank Zappa " The Zappa - suite - reloaded", 31.10.2015, health resort house Hamm. Announced from various sources, another 'radio broadcast' CD. 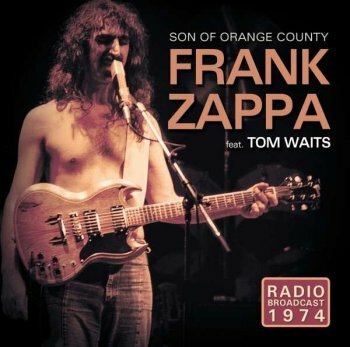 1974 radio broadcast, featuring Tom Waits. German Zappa-freak Roland Blattner is preparing a collection of Zappa articles and interviews (from various magazines but all in English) to be bundled in an hardbound book. Two tomes probably, about 700 pages each. Should be ready for Zappanale. French band The Married Monk recorded and released their version of Captain Beefheart's 'Observatory Crest' on their "The Belgian Kick" album in 2004. The album did get a vinyl re-issue last year. With a completely different album cover. But including the very same tracks. Mauro on Record Store Day 2014. Performing with the MIDI demo from Peter Vermeersch / Flat Earth Society's arrangement of FZ's 'Solitude'. The CD that got released on the Gonzo Multimedia label in 2015 has been re-issued on a 2 LP vinyl set. With a slightly altered album cover, that is. It now says "From the PAL recording studio" instead of "From the FZ archives". Literary publishing company Rubinstein released another audiobook (in 2014) in which writer P.F. 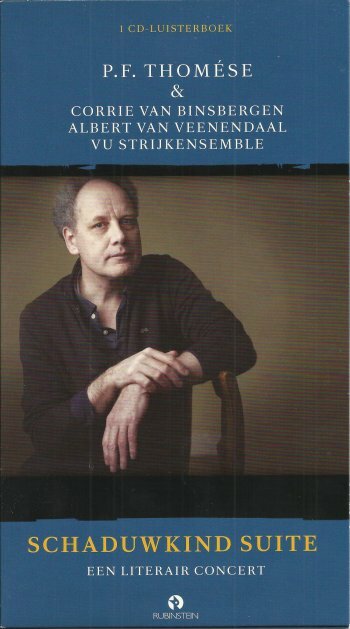 Thomése reads fragments from his book "Schaduwkind", accompanied by Corrie van Binsbergen (guitar), Albert Van Veenendaal (piano) and the VU String Ensemble. P.F. Thomése wrote "Schaduwkind" after his daughter had passed away. Dark and gloomy, but also comforting. I mentioned Jon Davis' Zhongyu project a couple of weeks ago, but this album does need some extra attention, so here we go. Jon Davis has been making music since the 70's. He also lived in Beijing for three years. The music that he creates, combines elements from the Rock in Opposition movement, from progressive rock and jazz, but also from Asian music. The result is amazing. For Zhongyu, Jon Davis teamed up with three members of Moraine (Dennis Rea on the guitar, Alicia DeJoeie on electric violin, and James DeJoie on sax, flute and clarinet). Adding jazz drummer Randy Doak completed the quintet. "Zhongyu is a band that aims to balance the opposites of music: composition and improvisation, serenity and chaos, harmony and dissonance, complexity and simplicity, acoustic and electric." 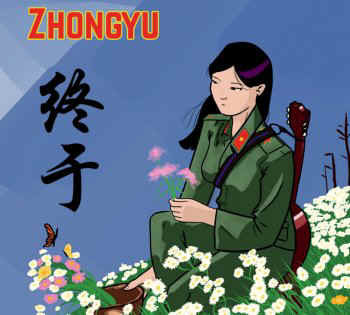 I like the fact that "Zhongyu" translates as "Finally" as it took Jon Davis quite a bit of effort to get this music performed. I'm glad he succeeded. 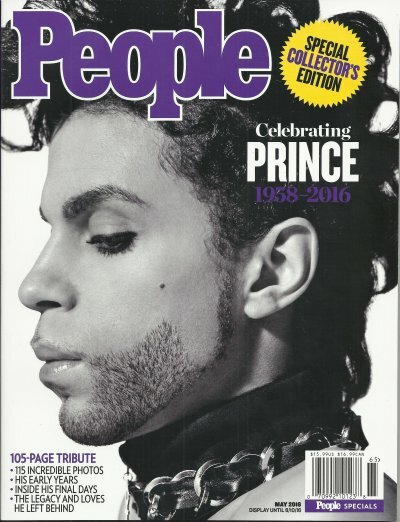 People magazine released a Prince special. More of a picture book. Zappa's Road Tapes #3 is out. Physical copies of the CD are available from various suppliers and for those of you (and me) who can't wait, there's Spotify. King Crimson will be touring in September - October - November. Not in the list yet, but KC will also be doing (at least) one concert in Antwerp (BE). 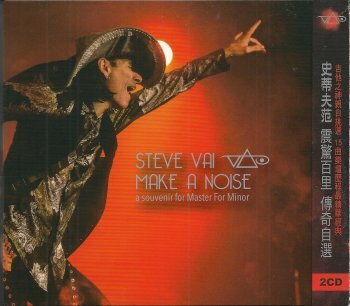 Sony Music released "Make A Noise", a best of Steve Vai 2 CD set, compiled by Steve Vai and intended for the Asian market. Material from "Flex-Able" up to "Where The Other Wild Things Are". 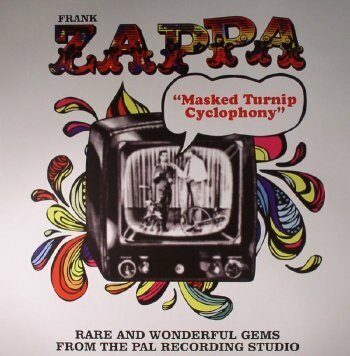 Includes 'Frank', Steve's hommage to Frank Zappa. October 19, 2016, Flat Earth Society will bring their latest production on stage at 'De Singel' in Antwerp (BE). Music from Peter Vermeersch, but also from Igor Stravinsky, François Poulenc, György Ligeti, Maurice Kagel, Tom disselvelt and Ennio Morricone. in concert at 'De Singer' in Rijkevorsel (BE) on May 19, 2016. You might have seen vibraphone player and composer Pieter Claus in concert already as he was part of Humble Grumble for a couple of years. Or maybe you've seen or heard him in one of his Zappa projects. He was the man behind Whatchamacallit (2001/2002), and he's also the driving force of Sinister Sister, a superb jazz quintet that performs Pieter's arrangements of Frank Zappa tunes. Next to playing other people's music, Pieter also composes original material. Performances are rare, but always impressive. I've seen Pieter in concert with Fabian Fiorine once and I know that he has been performing with a trio and a quartet as well. The trio, by the way, does have a nice intergalactical, catchy name: Pieter Claus Trio, or PC3O as they say in the other universe. 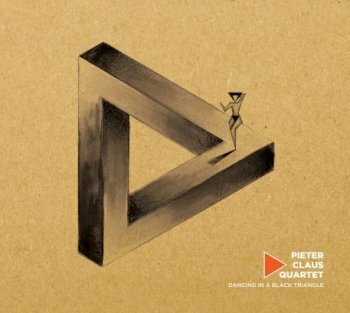 And now there's "Dancing In A Black Triangle" by the Pieter Claus Quartet. With Pieter Claus on vibraphone, Jan Ghesquière (Altertape, Sinister Sister) on guitar, Jouni Isoherranen (Humble Grumble) on bass and the exceptional Xavier Rogé (Ibrahim Maalouf). 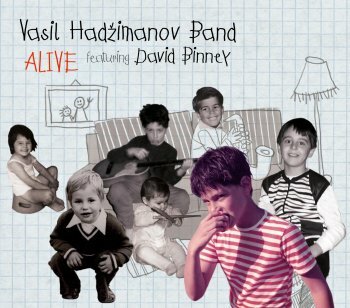 The album presents 10 original compositions, performed by five amazing musicians. Beautiful compositions, amazing musiciansip and impressive solos. What else does one need? "Dancing In A Black Triangle" will not dissapoint you. Did I already mention that the album includes a superb Zappa tribute? 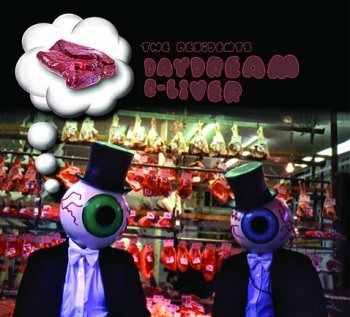 "Daydream B-Liver" was released by The Residents' Fan Club UWEB in 1991. It's an assortment of music from the years 1971 to 1991. The oldest material is a recording of a live show at The Boarding House in '71. The Residents were assisted by Snakefinger for the event. Then there is three tracks from the "Stars and Hank Forever" sessions that were not used on the original album. "Daydream In Space" was recorded by the band especially for this compilation. It is a nod to Sun Ra and Barry White. "Dog Glue" is an unused snippet from the "Baby King" music used on "The King And Eye". The 1990s are represented by music from the "Freak Show" and "Cube E" sessions, including a live rehearsal for a German TV show. The song that gives the album its title (apart from it being part B of "Liver Music") is a cover version of The Monkees' hit single of the (nearly) same name. As a bonus, we have included the "Special Almost Dance Mix" of "Hit The Road Jack", a song that The Residents recorded in 1987 as a follow-up to "Kaw-Liga". This version has previously never been available on CD. Comes with a new front cover by Pore No Graphics. 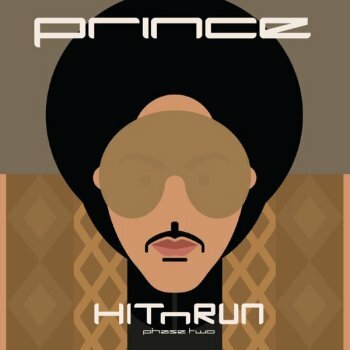 Prince's "HitnRun Phase One" album got released in September 2015. Compared to the recently released "Phase Two", "Phase One" does sound more electro / dance / club. It has a lot of guests as well, adding to the variety. But it's still very recognisable. Very Prince. From Gov't Mule's first recording session. To be released in August. Okay, it's still a couple of months away, but the Zappa Early Renaissance Orchestra will doing a tour next September. Phish released a new album in their "Live Phish" series. 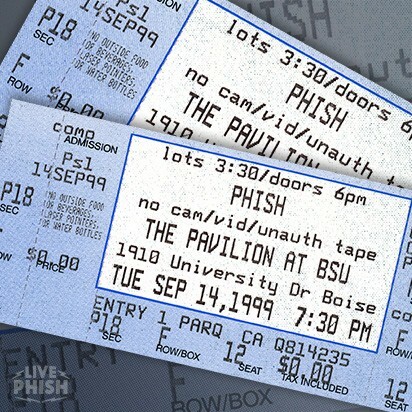 This brand-new Phish release, recorded live on September 14, 1999, at the Boise State University Pavilion in Boise, ID, usa, includes Phish's version of FZ's 'Peaches En Regalia'. As far as I can tell, it's a download-only album. Strut Records and the Art Yard record label released a Sun Ra album on the most recent Record Store Day (April 16, 2016). 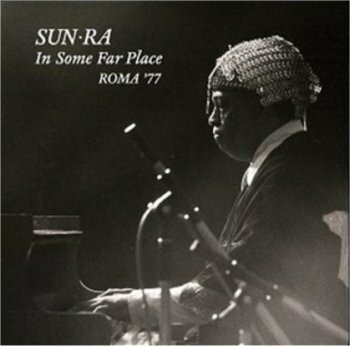 "In Some Far Place, Rome '77" catches Sun Ra in concert with Luqman Ali on drums and Thomas Thaddeus on vocals. This can almost be considered a solo piano concert. Sun Ra in trio is quite something different compared to the energy of a full Arkestra. Still, this is worth checking out. Blues, jazz, experimental soundscapes, it's all there. I really like the piano versions of classic Arkestra tunes like 'Space Is The Place' and 'Calling Planet Earth' to name just two. This 2 LP vinyl set also includes a 2 CD set (with the same material) for those who also enjoy music on their digital toys. The latest Prince album. The last Prince album. 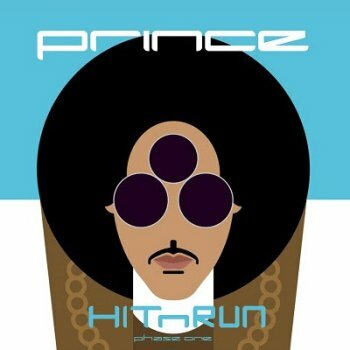 "HitnRun Phase Two". By Prince and The New Power Generation. Sure, I'm a bit biased as I've played this album a lot since Prince passed away, but this is not a bad album. Actually, this is quite the opposite of a bad album. 12 songs that take you back to the Prince sound of the 1980's. With a lot of nods to his earlier material, and with superb horn arrangements. The latest album by Norwegian band Panzerpappa has been released on the Italian Altrock label. It's called "Pestrottedans" and if you're not counting the two CDR-releases from 2001 and 2003, this is their fourth album. Featuring Tom Malone (of Zappa / New York / Wazoo fame) on trombone !! Not approved by the ZFT. It's a 2CD set called "Dutch Courage", presenting the 1980 Rotterdam concert. Frank Zappa's music to be performed at the Prague Proms festival. Hiya friends - like I said, I'm getting back into my music, finishing a few tunes that have been on hold for a while. Here's one called "Subtle Bugs" that was inspired by an unfinished FZ tune called "Saddle Bags." The Zappa Family Trust says that Dweezil cannot tour anymore as Zappa Plays Zappa. 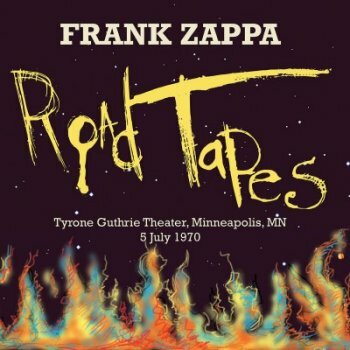 Zappa Family Trust announces a new Road Tapes album.